The Hebrew name for the Holy Temple is the Beit Hamikdash, the House of Holiness, a term that invokes a warm sentiment of a place where one is at home. It is therefore, perhaps, appropriate that one of the ways of mourning the loss of the Beit Hamikdash 2,000 years ago is to mark one’s home. This specific custom is one of several referred to as zeicher l’churban, a remembrance of that which was destroyed (other commemorations include the practice of reciting Psalm 137 before the Grace After Meals and breaking a glass under the chuppah) It is written in the Talmud: “A man may stucco his house, but he should leave a little bare. How much should this be? Rabbi Joseph says, A cubit square; to which Rabbi Hisda adds that it must be by the door” (Talmud Baba Batra 60b). To properly fulfill this custom, one who builds a new house should leave a one-cubit-by-one-cubit (about 18 inches by 18 inches) square of wall without paint, plaster or wall paper. There are some minority opinions that permit one to mark the zeicher l’churban by painting an appropriate size square a different color than the rest of the wall. If one purchased the house from a non-Jew, the walls do not have to be damaged to fulfill the custom unless one renovates the building. As per Rabbi Hisda’s comment, the unfinished square is generally created near the entrance to the house, either above or opposite the door. This deliberate placement is to ensure that the unfinished square fulfills its purpose of being a constant reminder that the Beit Hamikdash, the natural home of the Jewish people, remains in ruins. Find a means of creating a constant reminder of the loss of the Holy Temple in your life. While the seven-day mourning period called shiva is well-known in the general American culture, Jewish mourning is actually a richly layered time period designed, seemingly, to ease the mourner back into daily life. As the sages recorded, “Three days for weeping [the first half of shiva], seven days of lamenting and thirty [to refrain] from cutting the hair and [donning] pressed clothes” (Talmud Moed Katan 27b). One whose mother or father passes away completes a 12 month period of mourning , and the yahrtzeit/hilula is observed on the anniversary of the passing. 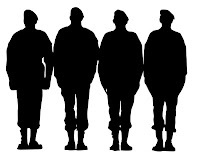 The thirty day mourning period, which is commonly referred to as shloshim, is observed by those people who sit shiva: father, mother, sister, brother, daughter, son and spouse. In the event of a Jewish holiday other than Purim or Chanukah (which are both post-Biblical), the mourning period ends in honor of the festival, whether or not the 30 days have been completed. The count of thirty days is derived from Deuteronomy 34:8, which records that the Children of Israel wept for Moses for 30 days after he died. At the conclusion of the shloshim, it is customary to make or host a siyyum (special celebration observed upon completing any set amount of Torah study) in honor of the deceased. Speak gently to someone who is recently bereaved. Prepare for Shabbat early in the week by reviewing the first section of the Book of Deuteronomy. Originally based in the town of Bobowa in Southern Poland, the Bobover chassidim were almost completely annihilated by the Nazis. Rabbi Ben Tzion Halberstam, the second Bobover Rebbe, and much of his family were murdered in 1941, leaving his son, Rabbi Shlomo Halberstam (1908-2000), as his rabbinic heir to assume the mantle as the third Bobover Rebbe. The Halberstams were a distinguished and historic rabbinic family among Polish Chassidim. The first Rebbe of Bobov (also named Shlomo Halberstam - 1847-1905), was the grandson of the Tsanzer Rav, Rabbi Chaim Halberstam (also known as the Divrei Chaim of Sanz). Rabbi Shlomo Halberstam was 33 years old when his father was murdered. Although he and his son Naftali Tzvi (later Rabbi Naftali Tzvi Halberstam, the fourth Rebbe of Bobover) managed, through many harrowing situations, to survive the Holocaust, his wife and other children were murdered. As hard as his life was, Rabbi Halberstam dedicated himself to working tirelessly to rescue as many Jews as possible. Arriving in America in 1946 with a small following of survivors, Rabbi Halberstam dedicated the rest of his life to rebuilding the Chassidic world that had been destroyed in Europe. He reached out to the survivors who came to New York and finally settled his growing community in the Borough Park section of Brooklyn New York. Rabbi Halberstam and his second wife were blessed with six children. Notwithstanding the tragic events of his life, Rabbi Halberstam managed to rebuild the Bobover Chassidic dynasty, doing so through his incredible display of joy in life, devotion to God and love of his fellow Jews. By the time he passed away, on 1 Av, 2000, the Bobov community had become one of the largest Chassidic sects of Judaism in the world. If your family came from a Chassidic background, include some of their customs in your Jewish life. In the early 1900s, rabbinic authorities had to determine exactly what electricity was from a halachic (Jewish legal) perspective. The first uses of electricity were, of course, for light and heat. And just as one is permitted to have a fire lit before Shabbat remain lit throughout Shabbat, it was determined that one may leave electric lights on throughout Shabbat. As scientists and inventors began to find other ways of using electricity, such as fans and radios which produce neither light nor heat, the question of electricity’s permissibility on Shabbat resurfaced. 1) Nolad (lit. birthing): The rabbinic prohibition against creating something new on Shabbat. 2) Boneh (building): The m’la’cha of building would include the act of completing the circuit, of building an electrical bridge when one turns on an appliance or light. 3) Makeh B’patish (final hammer blow): Similar to boneh, this m’la’chais violated when a circuit is completed, thus finishing the "job." One wishing to guard Shabbat by avoiding the 39 m'lach'ot would, therefore, need to refrain from turning on, turning off or altering (such as changing the volume) any electrical item. There are many ways that technology has altered how electricity can be used on Shabbat. Many households use preset timers to control household lights. This is permitted because the action was set in motion before Shabbat began. In recent years, Shabbat observant engineers have worked with large appliance manufacturers to create "Shabbat friendly" ovens, refrigerators and even dishwashers. This Treat was last posted on July 16, 2010. Born in Geneva on July 24, 1880, Ernest Bloch was a world famous Jewish composer. Seven of his works are known, collectively, as the “Jewish Cycle.” Bloch was raised in a home awash with tradition, but his actual Jewish education, and general involvement with Jewish life, ended after his Bar Mitzvah. His family, however, had a musical history rooted in Jewish life. His grandfather had been a ba’al tefillah (prayer leader), and his father sang in the choir of the Lengnau Synagogue. Bloch’s training in musical composition took place throughout Europe, in Switzerland, Belgium and Germany. However, he is considered an American composer, as most of his career was spent in the United States, where he moved in 1917. He taught at numerous music schools throughout his career and then settled in Oregon in 1943. Among the compositions included in the Jewish Cycle were the Trois poèmes juifs (1913); Israel, for five solo voices and orchestra (the Israel Symphony); Schelomo -- Hebrew Rhapsody, for cello and orchestra (1915–16); Baal Shem Suite (1923), for violin and piano (later orchestrated); From Jewish Life (1924), for cello and piano; Méditation hébraïque (1924), for cello and piano; Avoda [Abodah] (1929), for violin and piano; and several pieces written for different Psalms. If the mood strikes you, don't hesitate to sing your personal prayers if that helps you to be inspired. This Treat was last posted on October 5, 2010. When working on a project, spend an extra moment to make certain all safety measures have been taken care of. Judaism, Christianity and Islam are sometimes referred to as the “Abrahamic Faiths,” since Abraham was the forefather of the Jews and Christians through Isaac and the Muslims through Ishmael. It is interesting to note that Judaism has similar terms for Christians and Muslims: Arabs are referred to in Talmudic sources as Ishmaelites and Christians as Edomites, the descendants of Edom, who was Esau. Ishmael and his sons settled in what is now called the Arabian peninsula. The specific designation of “Ishmaelites” is mentioned a few times in the Bible, most noticeably in Genesis 37, for their involvement in the sale of Joseph. Later texts, such as the Midrash Rabbah, mention the Ishmaelites and refer to them in connection to Arabia. The association of Ishmael and Muslims is a foundation point of Islam. However, whereas many might assume this doctrine came into being at the time of Mohammad, it long pre-dates the rise of Islam among the people of Arabia. It should be noted that not all Arabs are Muslims, nor are all Muslims Arabs, but, given the interchange of Arabic and Islamic cultures, all Muslims are now often referred to in Jewish writing as Ishmael . The development of the reference to Christians as Edom is a little less obvious. Edom is another name for Esau, as it is written: Esau said to Jacob, ‘Feed me, I beg you, with that same red pottage, for I am famished;’ therefore was his name called Edom (red)” (Genesis 25:30). Numerous nations descended from Esau, but the Edomites were those who settled around Mount Seir in the area south of the Dead Sea, which is the area specifically designated to Esau by God. In the Talmudic period, Edom became associated with Rome, perhaps because Herod the Great, the Rome-appointed vassal king of Judea, was an Idumean (Edomite). Rome eventually became the center of Christianity. The Christian world developed into what is now referred to as Western Society, and so Western Christian society is referred to in Jewish sources as Edom. Learn about history to get a better understanding of the world. It is a common complaint that our society, always in a hurry, lacks respect for that which was once respected. People no longer dress their best to go to the theater, nor are they particularly careful about the language that they use. One can readily see this societal change in the very casual way people dress for work. Lack of respect may be demonstrated through one’s clothes or speech, haste or slovenliness, and even something as simple as a walking itinerary. In a rush to get to our next destination, one may not think twice about where one walks. After all, it is natural to seek a short-cut, but, as with so many aspects of life, the sages required that a person think twice about the actual path a person wishes to take. For instance, what if the place one wishes to cut through is now, or once was, a synagogue? According to the sages, “It should not be used as a short cut...as if one were to say, ‘Instead of going round the block, I will go through here.’ Rabbi Abbahu said: If a road passed through there originally [before the synagogue was built], it is permitted” (Talmud Megilla 28a). This rule applies, of course, to active synagogues as well, and it demonstrates the Torah’s respect for places of holiness. This may seem a trivial point on the surface, but its significance can be demonstrated by the fact that Rabbi Eleazar Ben Shammua included never having used a synagogue as a short-cut as one of the reasons for his long life (Talmud Sotah 39a). *Shul is the Yiddish term for a synagogue. When you visit a synagogue, dress with respect. “The cobbler’s children have no shoes!” So declares the pithy aphorism regarding one of the ironies of life. Centuries prior to the first recording of this phrase, however, the Talmud discussed two artisan families who made it a point of honor that their children did not benefit from their particular craft. “The house of Garmu was expert in preparing the [Temple] Showbread (by heating the ovens from within and baking the dough from within so that it never became moldy)...For the following was their memory honored: Never was fine bread to be found in their children's hand, lest people say: These feed from the [preparation of] the showbread...They of the house of Abtinas were expert in preparing the incense [for the Temple service] (and only the smoke of the incense they prepared ascended in a perfectly straight stack of smoke)...Never did a bride of their house go forth perfumed, and when they married a woman from elsewhere they expressly forbade her to do so lest people say: From [the preparation of] the incense they are perfuming themselves. [About both families it is said that they did so] to fulfill the command, “You shall be clean before the Lord and before Israel” (Talmud Yoma 38a). The Talmud discusses these families in parallel paragraphs. Both families are at first criticized for not sharing their secret skills. After the sages brought in specialists from Alexandria who failed to replicate their specialties, they both sought out higher wages. When asked why they would not teach their art, they are both reported to have said, “In our father’s house they know that this House [the Temple] will be destroyed, and perhaps an unworthy man would learn it and then proceed to serve an idol with it” (ibid). The Jewish people, diverse and spread out as they may be, remain a family connected by shared spiritual genetics. As in all families, of course, some relatives are closer than others, but the inherent bond remains. Not long before they entered the Promised Land, the Children of Israel conquered the area east of the Jordan. The leaders of the tribes of Reuben and Gad, who were attracted to the eastern lands, came to Moses and asked if their tribes could settle there. Moses’ immediate response to their request was “Shall your brothers go to war, and shall you stay here?” (Numbers 32:6). Liberal or conservative, religious or secular, the Jewish people have found ways throughout history to support each other. Whether this meant writing a letter of support to a community in distress, such as Maimonides did to the Jews of Yemen in the 12th century or petitioning the President of the United States (Theodore Roosevelt) to speak out against the Kishinev Pogroms in 1903 in Russia, the unique unity of the Jewish people confirms that we do indeed remain our brothers’ keepers. Let your voice be heard to support and aid Jews around the world. The Jewish presence on the Island of Crete is rather ancient, with records of a Jewish community in Crete going as far back as the early Roman Empire. Living under the rule of the Christian Eastern Roman Empire (Byzantium), the Jews were frequently persecuted. It is interesting to note that many believe that these persecutions led the Jews of Crete to fall under the sway of a false Messiah who called himself Moses (440-470 CE) and promised to lead the Jews back to the Promised Land, on dry ground through the Mediterranean Sea. Many sold their homes and business and, according to Socrates of Constantinople, followed him to the seaside and jumped off a cliff into the sea expecting it to part before them. It did not. Many perished, and Moses was never seen again. Crete changed hands numerous times. In the 9th century, it was under the Saracens and then was back as part of Byzantium years later. In 1204, the Island of Crete was given to the Venetian Republic, and, as in Venice itself, the Cretan Jews were eventually moved into ghettos (ciudeccas). Similar to many other European communities, the Jews of Venetian Crete faltered or flourished depending on the particular ruler. By the 16th century, the rising Turkish power took new interest in Crete (which they finally conquered in 1669). During one particular war, in 1538, the Jews of the Cretan city of Candia were accused of hiding Turks. The Greek population of Candia gathered to attack the Jews for this supposed act of treachery. Rabbi Eliyahu Capsali sought help from the Venetians, who intervened and prevented a massacre. Thereafter, the 18th of Tammuz (today) was observed as the Purim of Candia. The Ottomans remained in control of Crete until it gained independence in 1898. In 1941, the Nazis invaded, sadly sealing the fate for this small, ancient Jewish community. In June 1944, the Jews of Crete were forced onto a ship, which was sunk as it left the harbor. Only seven Cretan Jews survived the Holocaust and the community has never been rebuilt, although the Etz Hayyim Synagogue in the city of Hania was renovated in the 1990s with the help of the World Monument Fund. Spend time sitting, talking and listening to senior citizens in your life to gain a new perspective on Jewish life. This Treat was last posted on June 29, 2010. This Treat was previously posted on June 25, 2013. Be careful to speak to other people with kindness. Everyone knows about Yom Kippur. There are, however, several other fast days in the Jewish calendar that are not nearly as well known. Tomorrow, on July 15, the Fast of the 17th of Tammuz will be observed. This Treat was last posted on June 24, 2013. This Treat was last posted on July 19, 2011. Prepare for tomorrow's fast by drinking a lot of water today. At the time that God appointed Aaron to be the High Priest and instructed that his sons and all the generations that were to be born to them henceforth were to be priests, Aaron had only one grandson, Pinchas (often anglecized to Phineas). Because he was already alive at the time of the appointment of priests, Pinchas grew up as the only non-priest in a family of priests. Imagine how this could have affected him when his father, uncles and all of his younger brothers and cousins were busy either performing the holy service in the Mishkan (Tabernacle) or training to do so. Pinchas could have been bitter or apathetic, but instead he was zealous in his devotion. When Balaam, the enemy of Israel, convinced the Midianite women to go out and seduce the Israelites, Pinchas was distraught. Numbers 25:7, states: “He [Pinchas] stood up from amid the assembly and took a spear in his hand.” Pinchas slew Zimri, a prince from the Tribe of Simeon and a leader in the licentiousness, as he committed an act of harlotry with a Midianitess named Cozbi. From the simple statement that “he stood up from amid the assembly,” it is understood that the leaders of Israel were trying to decide what to do in the situation and that, of all those present, only Pinchas basically walked out, fed up with all the talk, and took action. Whereas Pinchas’ actions may have surprised, and possibly even enraged, some of the Israelites, the Torah records that God said that Pinchas “turned back My wrath from upon the Children of Israel, when he zealously avenged Me...” (Numbers 25:11). God then declared that Pinchas and all his descendants would join in the priesthood. Make Judaism a vibrant and important part of your life. Cute and cuddly, teddy bears today are made in all materials and styles. But, the original teddy bear design was actually a piece of velvet sewn into the shape of a bear with shoe button eyes. The very first teddy bear was sewn overnight by Rose Michtom. The doll was her husband Morris’ idea after he read an article about President Teddy Roosevelt’s refusal to shoot a bear cub that his hunting partners had tied to a tree after a fifth unsuccessful day of hunting. Roosevelt refused to partake in such an unsportsman-like act, and his act was publicized by the cadre of journalists who accompanied him. 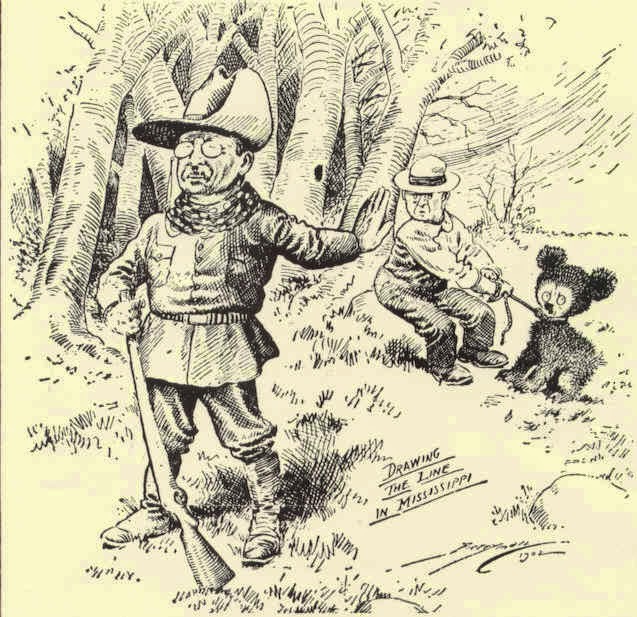 Like many others, Morris Michtom was touched by Roosevelt’s act of kindness and moved by the idea of the innocent bear, particularly after he saw cartoonist Clifford Berryman’s image of Roosevelt turning his back on a bear tied at the neck. Rose and Morris eventually closed their candy shop in order to focus on their bears. They opened the Ideal Novelty and Toy Company in 1907. In addition to the millions of teddy bears they eventually sold, the Michtoms’ company also produced dolls and games. Ownership of Ideal Novelty and Toy Company remained in the Mitchom family until the 1970s. The Mitchoms, both of whom were Russian Jewish immigrants, gave back to the community after their success. They were active supporters of the Hebrew Immigrant Aid Society, the Jewish National Fund and other similar organizations. Today’s Treat was written in honor of Teddy Bear Picnic Day. 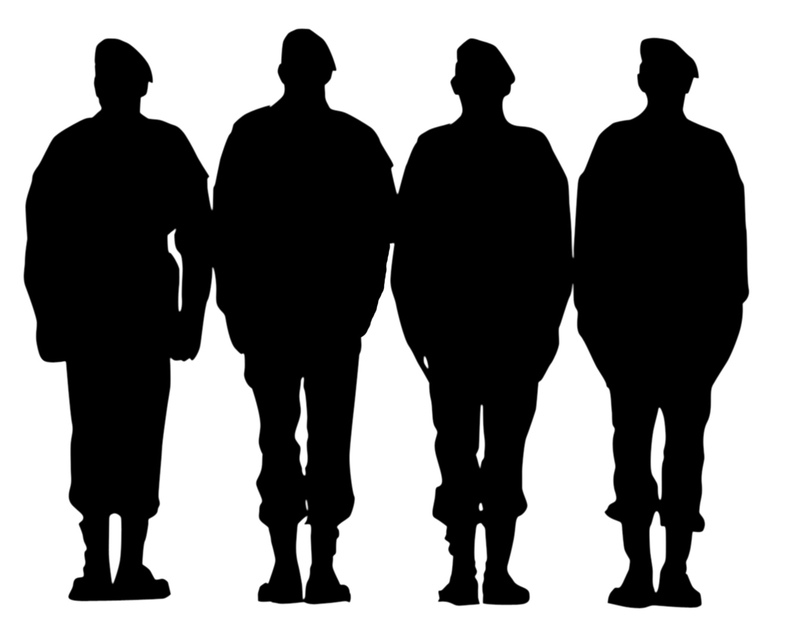 Include the soldiers whose lives are in danger in your prayers. "Rabbi Akiva declares that: 'fearful and fainthearted' is to be understood literally as meaning [a soldier] who is unable to stand in the battle-ranks and see a drawn sword. Rabbi Jose the Galilean says: 'fearful and fainthearted' alludes to one who is afraid because of the transgressions he had committed" (Sotah 44a). Contact friends and family in Israel and ask what you can do for them. Remember, God wants people to make Divine requests. 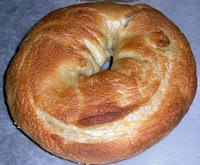 -- One of the most common breakfast breads is the bagel.Click here to read about the origin of the bagel. This Treat was last posted on July 31, 2012. Choose healthy foods for breakfast to give you energy for the rest of the day. A few weeks after the signing of the Declaration of Independence, the British blockade intercepted a communication from Jonas Phillips to a relative on the Dutch Island of St. Estatius. Because the letter was written in Yiddish, the British assumed it was a code. They were not wrong. If they had translated the letter, they would have found that it was actually a list of needed supplies written by a blockade runner. The author of the letter was an ardent patriot. Born in Germany, Jonas Phillips (1736–1803) came to the American colonies in 1756 as a servant indentured to Moses Lindo, whom he had met in London. After completing his term of service in South Carolina, Phillips, now free, moved to Albany, NY, and then to New York City where he married Rebecca Mendez Machado. The first years of their life were difficult. Having failed in business, the devout Phillips was employed by the New York community as a shochet (ritual Jewish slaughterer). The Phillips had a quickly growing family (in total they had 21 children) and, after several years without a raise, he left the position and tried his hand at business again, this time with far better success. While Phillips was an early supporter of the independence movement, he was also wise enough to know when to flee. When the British Troops came to New York, Phillips convinced the community to close the synagogue before he and many of the other prominent Jews of New York moved to Philadelphia. In 1778, he himself took up arms and joined the Philadelphia militia under Colonial William Bradford. Following the war, Phillips remained in Philadelphia and was active in Congregation Mikveh Israel’s building campaign. He is noted for petitioning the government to abolish a religious oath acknowledging the Divinity of the New Testament as a requirement for holding public office, and, in 1793, he refused to testify in court on Saturday. Jonas Phillips passed away on January 29, 1803. Among Phillips descendants were Commodore Uriah P. Levy and Mordecai Manuel Noah. Display your pride in America, where Jews have been able to live in peace and freedom for hundreds of years. Idaho is not a state known for its burgeoning Jewish population. It is currently estimated, according to JewishVirtualLibrary.org, that there are about 1,500 Jews in the state, most of whom live in the Boise area or in Pocatello. Like most of the western states, Idaho was populated by settlers in the second half of the 19th century. It was a hard life in a challenging environment, and there were a small number of Jews among the hardy pioneers who settled the territory. On July 3, 1890, Idaho became the 43rd state of the union. One year later, Moses Alexander (1852-1932) arrived in Boise, Idaho, on his way to Alaska. Alexander, who had come to America from Bavaria when he was 14, had spent the last 24 years working for a cousin in Chillicothe, Missouri. Heading out on his own, he decided to settle in Boise. He opened a mens clothing store and eventually owned several such stores. Having established themselves in Boise, Alexander and his wife Helena became active members in the small Jewish community. In 1895, they played a critical role in the establishment of Congregation Beth Israel (today Ahavath Beth Israel, following a merger with Congregation Ahavath Israel in 1986). The synagogue building is the oldest Jewish house of worship still in use west of the Mississippi. Alexander entered Idaho political life in 1897, when he was elected mayor of Boise on the Democratic ticket. He served two (non-consecutive) mayoral terms before running for governor. In 1914, he was elected governor of Idaho and remained in office until 1918, after which he remained active in the Idaho Democratic Party for the rest of his life. Do a kindness for another person in the merit of the souls of Eyal, Gilad and Naftali. Why is a donkey called a donkey? For Jewish Treats, a more interesting question is why is a donkey called a chamor? According to the Midrash (Genesis Rabbah 17:4), God assigned Adam the task of naming all of the animals based on their true essence. The root of the Hebrew word chamor, chet-mem-reish, is shared with the word cho’mer, meaning clay or loam. Chamor is thus associated with materialism. Despite this, the donkey, a non-kosher beast of burden, is prominently featured in Torah life. This Messianic donkey, according to the Midrash (Yalkut, Devarim 86a), was created just before the sun set on the sixth day of creation and was owned by Abraham (who used it to bring supplies for the akeidah, the offering of Isaac) and Moses (who used it to bring his wife and sons to Egypt from Midian). * The era of the Messiah is meant to be a time of the spiritual controlling the material. The symbol of the Messiah riding on a chamor is, therefore, a way of teaching us that by controlling our materialistic drive we can attain true spiritual freedom. * Not to be confused with the she-donkey that spoke to the wicked Balaam (Numbers 22). Act with kindness to all creatures. Once upon a time, around 1916, a small community of Jewish settlers on the Canadian prairie built a synagogue. Like many other edifices of that time and place, it was small, sparsely decorated and sturdy. Built on the Chetner family farm near the village of Sibbald, just west of the Alberta-Saskatchewan border, the synagogue served approximately 30 families. It was named the Montefiore Institute in honor of the philanthropist Sir Moses Montefiore. In the early 20th century, Sibbald was one of three areas in rural Alberta noted for Jewish settlement. The other two areas were in Trochu and Rumsey (There were somewhat larger Jewish communities in cities such as Calgary and Edmonton). The settlers in these communities were mostly immigrants from Russia and Eastern Europe. The soil was rocky, and the winters were incredibly cold. Try as the pioneers might, the farms never flourished, and, with the additional challenges of the Great Depression, by the 1930s most of the farms folded. When the Jews left, the Montefiore Institute, which had served as a synagogue, community center and school, was abandoned. In 1937, the Canadian government sold the building for $200 to a non-Jewish family who moved the building itself to Hannah, Alberta. This might have been just a quaint historical side note had not the synagogue been tracked down in the early 21st century. It was still owned by the same family who had purchased it in 1937, although it had been converted into a house. The Little Synagogue on the Prairie Project Society bought the building and arranged for it to be moved to Calgary’s Heritage Park Historical Village. The synagogue was restored, and, in June 2009, “The Little Synagogue on the Prairie” was opened to the public with a Hachnasat Sefer Torah (a procession in which a new Torah is brought to the synagogue). Jewish Treats wishes our Canadian readers a happy Canada Day. Treat your local synagogue with care and respect.